Why Jacksonville Home Buyers Choose Will Vasana As Their REALTOR®. Buying a Home Requires Many Difficult Decisions. Let Me Represent Your Best Interests In a Home. - You will have full access to ALL homes available on the Jacksonville market, even listings not yet on the MLS, through my professional Florida real estate affiliations. - My expert local knowledge of the Jacksonville area should be invaluable to you, not just in terms of real estate, but also schools, neighborhoods, the local economy, and more. - Every local real estate market absolutely has its own trends and opportunities. This can vary greatly, even one neighborhood to the next. Jacksonville is no different! It's my job to steer you into opportunities and out of traps. 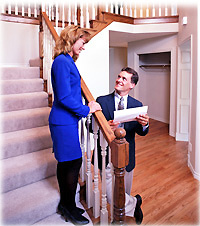 Let me represent your best interests in your search for a new home in the Jacksonville area. While you can see a million homes on the Web, actually buying your home is another matter entirely. Buyers beware! Call or e-mail me for help, or to have your questions answered. There are no dumb questions! Let me know and I'll get right back to you.